The courses will start at 9.30am and finish at 4.30pm. The course venue will be held at City Diggers, 82 Church St, Wollongong. This two-day course covers the various rights, entitlements and obligations under the WHS Act 2011, that underpin a safe and healthy workplace, paying special attention to union perspectives. Topics include Duties under the Act, Consultation, Health & Safety Representatives and Risk Management. This course aims to enhance mental health awareness. It provides participants with information, strategies and resources to assist in identifying and supporting a colleague/s with mental health issues and encouraging them to seek professional help. We also look at some useful strategies to manage stress and build personal resilience. PSA/CPSU NSW members are entitled to paid Trade Union Training Leave to attend these courses. 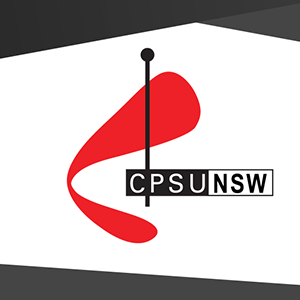 ALL members are invited and welcome, you do not have to be a delegate to obtain trade union training leave and to attend PSA/CPSU NSW training. The PSA/CPSU NSW provides reasonable travel and accommodation costs to attend our training courses. If you have a disability and/or special needs, please contact the PSA training staff at the time of your registration. To register please do so online at the following link psa.asn.au/training-you.